As part of our Tropical Treats topic, we have been researching what the weather and climate is like in the rainforests! Can you believe they only have two seasons? 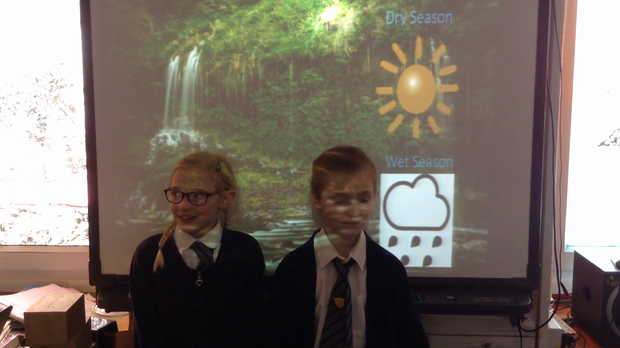 Hannah and Hollie sum it up beautifully in their yearly weather forecast. Take a look!